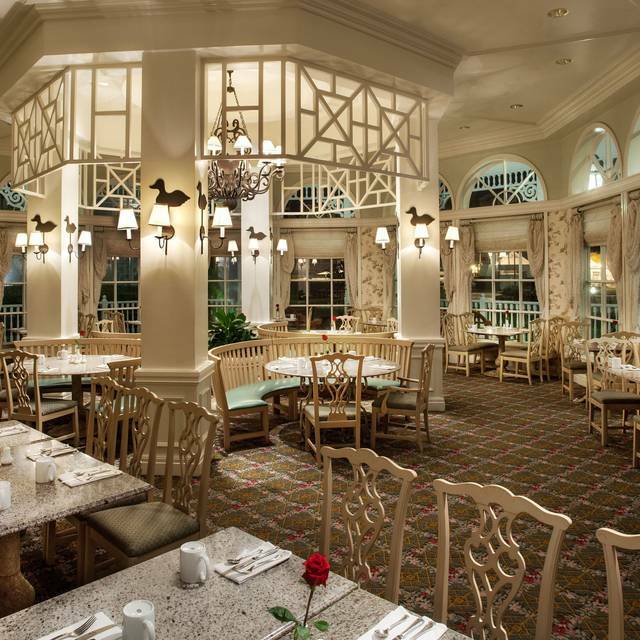 For casual American dining at Disney’s Grand Floridian Resort & Spa, this elegant yet unpretentious eatery can’t be beat. 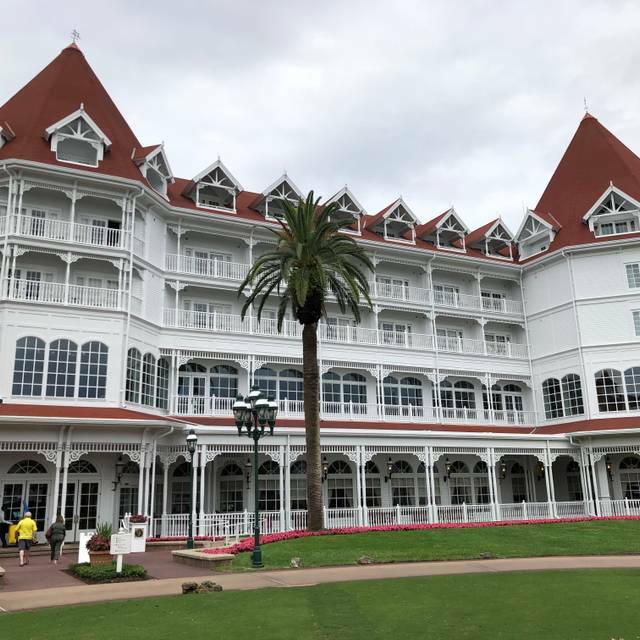 Open for breakfast, lunch or an impromptu dinner, the Grand Floridian Cafe is a hidden gem that offers moderately priced cuisine with maximum flavor. 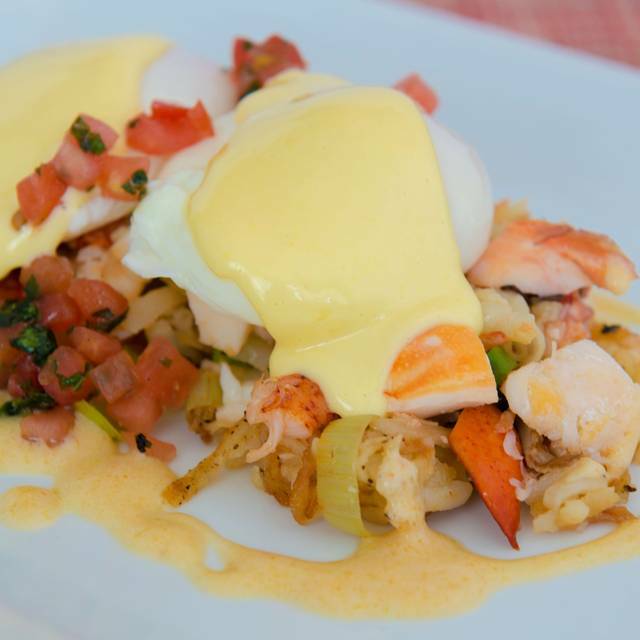 Start your day with a plate of Mickey waffles or the decadent Eggs Benedict. 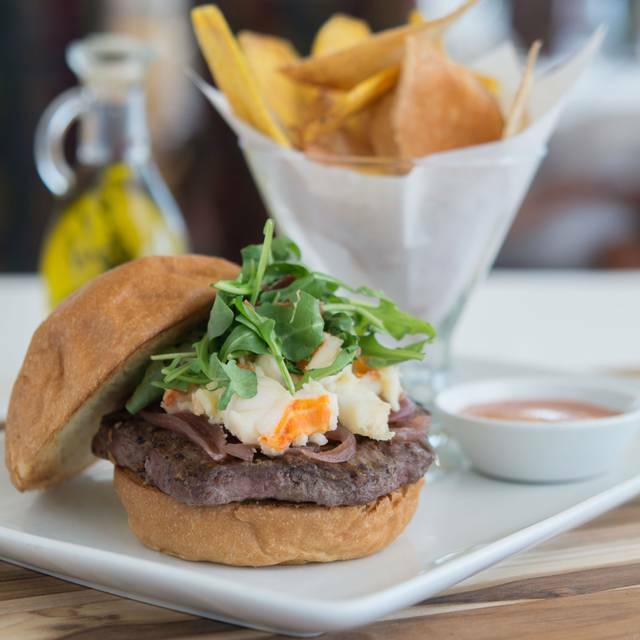 For lunch, choose from an array of freshly prepared salads, soups, sandwiches & daily specials. Some of the same selections are available for dinner, including the addition of hearty entrées like chicken, steak & pasta. If you’ve saved room for dessert, try the tempting sampler for two or dip into the delectable chocolate fondue with a selection of fresh fruit. The Glowing Character Punch, served in a souvenir cup with a light-up Disney character, is sure to bring big smiles to little ones, while smoothies, espresso, & hot or frozen cappuccinos & lattes provide welcome refreshment to more grownup Guests. It was alright, we kind of wanted to get just desserts and we went at 5pm. The server was not happy about that. We got coffee and he did not even offer us sugar or cream or anything else. Loved the atmosphere of this resort. Sausage a little undercooked but otherwise a tasty breakfast and great start to the day! Our reservation was for 12:15 and we still had an hour wait. Once we were seated at 1:15, we ordered immediately and then waited about 45 minutes for our food to arrive. Food was good and server was friendly, but the wait times were unacceptable and unusual for a Disney restaurant. They don’t have our reservation when we got there, so they put us in the system. We were a party of 6 for Mother’s Day. We finally got seated 35 minutes after our reservation time. Service for our table was extremely slow. The table of 6 that was seated next to us AFTER we sat down was paying their bill before we got our entrees. Food and service is always great, atmosphere is relaxing. Had a very good casual meal here while taking a break from the parks. The atmosphere is beautiful and quiet and the food was delicious. My pork chop was tender. The club sandwich was great as was dessert. The chocolate fondue plate was excellent. Service by Ian was excellent. He was friendly and professional. I look forward to returning. Delicious. The turkey meatloaf was phenomenal. I’m not a fan of turkey hard to ensure it won’t be dry. This was anything but! It was so good I never would have know. It was turkey if I hadn’t read it on the menu. Well done!!! Fantastic breakfast! Good food and wonderful service. Highly recommend for adult dining. So everyone was recommending the shrimp and grits, mom and I being northerners had to roll our eyes. The waitress, Katherine, suddenly walked away - just as we were about to comment on her curtness, she returned with a free sample of grits from the kitchen. First time mom tried them and liked them. May be a changed woman. I had one of the best steaks I've had, though I was disappointed by the $10 shrimp skewer - only four, and nothing to write about. Mom enjoyed the lobster burger. Chocolate Timbale for desert was wonderful. Amazing food and great customer service. Always have to have brunch here when in Florida , lobster Benedict , floridian pancakes. At the hostess desk, my reservations were not found until I told them I had made them through Open Table. Then, only one hostess knew how to look that up. She found my reservation, but they all seemed like”Cinderella’s step sisters towards my sister and I, rather snooty. On the other hand, our server, Aaron, met our every request and went over and above to make us feel welcome. He knew the menu and was spot on with his descriptions and suggestions. The cocktails were superb as promised by Aaron. 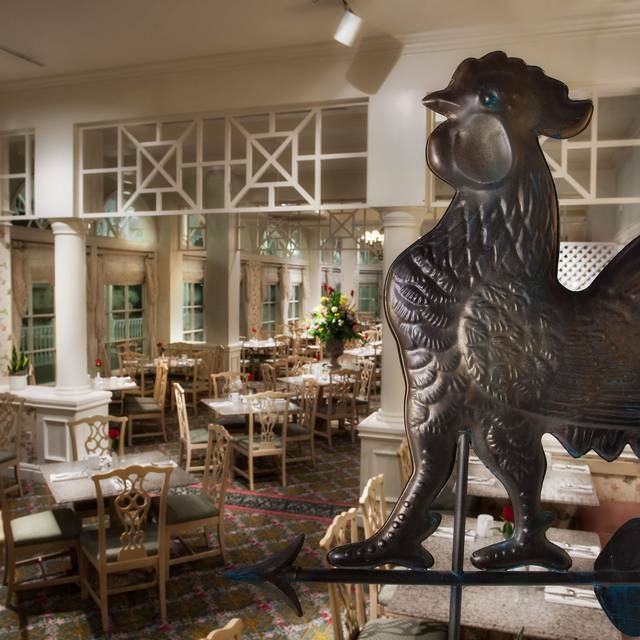 He is an asset to the cafe in the Grand Floridian. It is time for some refurbishment and a more fluffy omelet. The French toast was good. The waitress was nice. She was up to Disney standards. We really enjoyed our food. Great selection of allergy friendly items. They did forget however to do the birthday candle for my husband but otherwise fantastic. Wonderful experience! Went for my first time during lunch on a recent Disney trip. I am on a very strict meal regiment and didn't eat on property much as I was unsure of the availability I would have as a selection other than salad. My server, Patrick, was very attentive and understanding of my dietary restrictions. He brought me out the allergy friendly menu and offered to have the chef come out and talk over my options-it was a rather busy late afternoon crowd, so I declined and continued with my order. I had the steak and eggs- the steak was perfectly seasoned and cooked a beautiful med-rare. Such a great dining experience! Highly recommend and will definitely return! You eat here because you’re staying here. Everything was ok.
Two tries...the onion soup was never hot. The cheese was very hot. When I arrived at the restaurant, They couldnt find the reservation. I must wait for an hour to seat at my table!!! 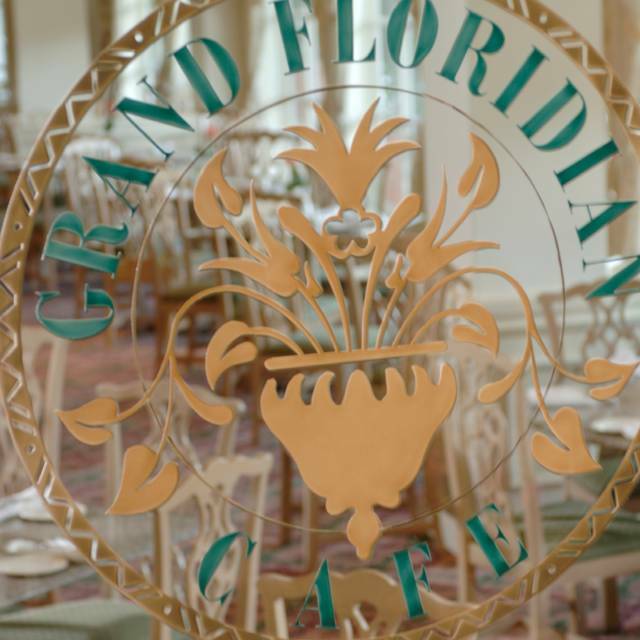 Ny husband and I enjoy frequent lunch dates at the Grand Floridian Cafe but December is our favorite time to dine there. 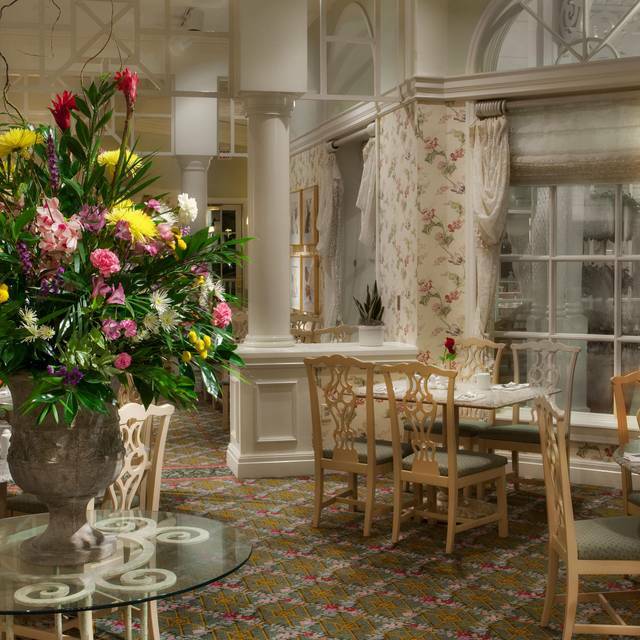 The delicious food, the beautiful Christmas decorations and the lovely piano music in the main lobby of the resort all make for a delightful afternoon.